To order Elantris, click this link! To pre-order Warbreaker, click this link! Also, check out Writing Excuses here, Dan Wells’ website here, and Howard Tayler’s website here! So, The Gathering Storm Approaches. After following the epic adventures of the Dragon Reborn for the past seven years (yes, I’m still practically a WOT-newbie) I can’t help but feel utter relief! 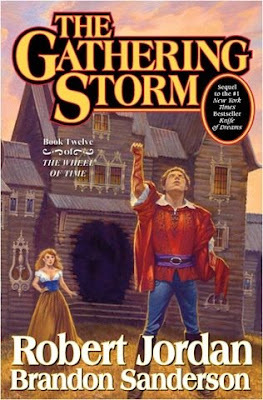 When the news broke of Robert Jordan’s death my first thought was complete and utter sadness. Mr Jordan had proved himself to be one of the greatest storytellers that has ever lived, and to lose him was to lose something incredibly precious. I mean, here in South Africa kids are leaving High School at the end of Grade Twelve and can’t even properly spell or read. The libraries in schools are filled with old, dusty volumes, and although there will always be gems there, kids can’t be bothered to look anymore. Now, they need time for Hannah Montana and High School Musical and PSPs and X-Box’s. Now, it’s more important that you look like you’ve just stepped out of a magazine than accruing the knowledge you need to live happily and successfully. The world is changing, moving away from everything we, as a species, have begun to take for granted, and Robert Jordan was one of those special people who Kept The Forces At Bay with his work. To step into the Wheel of Time is to step into your own hopes and fears and dreams and experiences, because Robert Jordan wrote in such a way that everyone who’s ever read his work feels a kinship to at least one of the characters; and not only that, the world itself, though completely different to ours, is subtly the very same world we know. Mr Jordan was able (and this will never change, at least until some weird virus or religious cult starts destroying books) to open our eyes to the world around us and its people by taking us into his world. And so, of course, it was incredibly important that his work be finished. His wife and editor, Harriet, knew this. She knows how important the Wheel of Time is to the world, and I don’t really care if someone thinks that I’m being melodramatic, bugger you if you do, because its true. To say the the Wheel of Time brought people together is an understatement. To say the the Wheel of Time will, as long as memory can keep it so, be one of the biggest and best fantasy works in history is an understatement. And to think that the publishers are in it just to make money is just plain dumb. Would we have spent less money if A Memory of Light was kept in one volume? Would we have spent more? How does anyone quantify that? Let’s say it had been kept as one volume – at last glance, Brandon Sanderson has said that A Memory of Light may very well exceed 750 thousand words. How much would such a book cost, just to cover the production costs of getting it into one volume? How many times could you read such a volume before the book literally broke in half? How pissed off would you be that you’ve shelled out x-amount in cash for the conclusion to the Wheel of Time, and it’s breaks in your hands? And remember, this is a book that all fans, everywhere, will be practically selling kidneys to read. How are Londoners riding the tube going to read such a book? How is anyone going to be able to relax on a bed or on a couch with such a monster in their hands? It’s uncomfortable, point. So I, for one, am very glad that they’re splitting the final book into three parts. Sure, we won’t be getting it all at once, but does it really matter? This is something to savor and celebrate! Even though Mr Jordan is gone, it’ll still feel like he’s sitting in front of that computer in the carriage house, typing away and getting everything done. 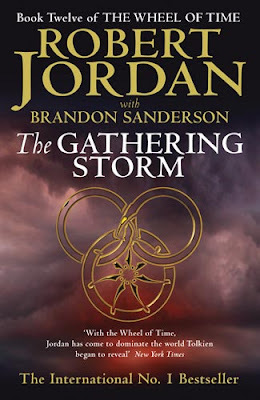 Sure, Brandon Sanderson is finishing A Memory of Light, but how many times has he said that it is Robert Jordan’s book? This is Mr Jordan’s vision, a vision we’ve been pulled into and fell in love with and enjoyed, a vision that has, no doubt about it, generated plenty of money for TOR. But do you honestly think that TOR doesn’t give a damn about us fans? I could never agree with that. And do you honestly think that Harriet would let TOR do what they wanted, anyway? For Harriet it’s not about TOR getting the capstone to an incredible series, it’s not even really about the fans, in my opinion. I think the most important thing for her is that it brings to an end the career of a fantasy legend with love and respect, that it really begins his legacy, and that she will do what she needs to respect the memory of her husband with as much love as possible. Remember, this wasn’t just a man she edited books for. This was her husband, and every decision she ever made was to help him write better and to make the books, including A Memory of Light, the best books that they could be. Okay, I’ve said my piece. 🙂 But don’t take my word for it – this is, after all, just my opinion. Go ahead and read the posts by Pat and Brandon, and read the interview with Harriet at Dragonmount, and you’ll have the best info you need to decide whether or not A Memory of Light in 3 Parts is the best way to go or not.